Don Ameche, Betty Grable, Robert Cummings et al. Betty Grable stars in this musical based on Stephen Powys' play and the 1938 film 'Three Blind Mice'. Two sisters, Kay (Grable) and Susan (Carole Landis) leave their hometown in Texas to find some rich husbands in Florida. 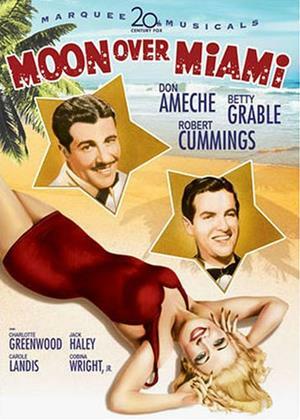 They find two likely candidates, Miami playboys (Don Ameche and Robert Cummings) but things don't go entirely to plan. Features the calssic song 'You Started Something' and was remade in 1946 as 'Three Little Girls in Blue'.